Helping People Buy & Sell Houses in the Bay Area! Proven Process of Helping People with Raving Client Testimonials! 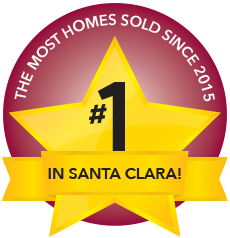 The Genesis Team has been serving Santa Clara County since 2005. Whether you are buying, selling, or need property management, our team is committed to providing you with world class service. 5-star agent rating on zillow. Our goal is to provide unsurpassed customer service and make your real estate experience exceptional. "We went from first meeting Mike to discuss about selling to close of escrow in less than two months. He was forthcoming to us in terms of prospects ... more "
"I recommend Mike Strouf and his team to everyone I know. He's a true professional and a genuinely nice guy. I realize it won't always be this easy to ... more "
"I am working with Mike for over 8 years now, bought and sold multiple houses in the San Jose area using his services. Mike is a true professional, ... more "